Barbara J. Franz- age 87, January 12, 2018, left those she loved to join her husband of 56 years and eternal partner Leprilet Joseph Franz. Barbara was born in Los Angeles, CA June 21, 1930. During her lifetime, in addition, to traveling abroad she had the opportunity to visit all 50 states. Barbara loved her family most and as she transcends this world she sends her affection to her three daughters and their husbands, Cappi & Mike Villines, Cindy & William Lapane, Candy Fleming & Craig Bertrand and to her grandchildren their spouses Michael and Alicia Villines, Michelle and Ken Proctor, Taylor Lapane and Kristen, Robert, Joseph and Shelby Fleming. In passing she blows extra kisses to her great grandchildren Jackson Proctor and Anderson Mitchell and Skyler Villines. In lieu of flowers please make donations to the Shrine Hospital. Visitation will be 5-8 p.m. on Wednesday, January 17, 2018 and 1-2 p.m. on Thursday at Harpeth Hills Funeral Home. 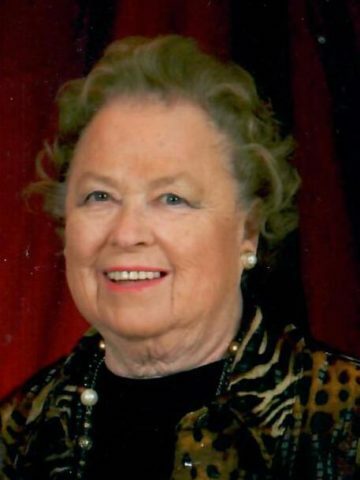 There will be a celebration of her life at 2 p.m. on Thursday at Harpeth Hills Funeral Home, 9090 Hwy 100, Nashville. Interment will follow at Harpeth Hills Memory Gardens. Cindy, I’m so sorry for the loss of your mother. Praying for you and your family during this difficult time. Cindy I’m so sorry to hear about your mom. She is your angel in heaven now. Praying for you and your family. So sorry for your loss. There is nothing easy about this. It only takes time. What a beautiful tribute to a beautiful woman. Heaven has gained an angel! I feel very blessed that I had the honor of knowing this wonderful person! May God bless and comfort the family. So sorry to hear of your mom’s transition. But what a long life she lived. wonderful) and of course Mike. What a lovely obituary. She must have been a good woman to have raised such an amazing daughter. We will remember the love you had for your mother through a gift to the Shrine Hospital.